Residents at Signature HealthCARE at Tower Road bopped till they dropped at our Sock Hop Party hosted by the Activities Department last week. 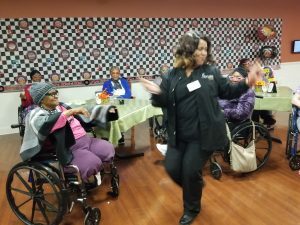 They danced, laughed and reminisced to the fabulous fifties sounds of Mr. Ricky Starr. The Sock Hop and Soda Shop were one of the many highlights kicking off our February Calendar of Events!! !